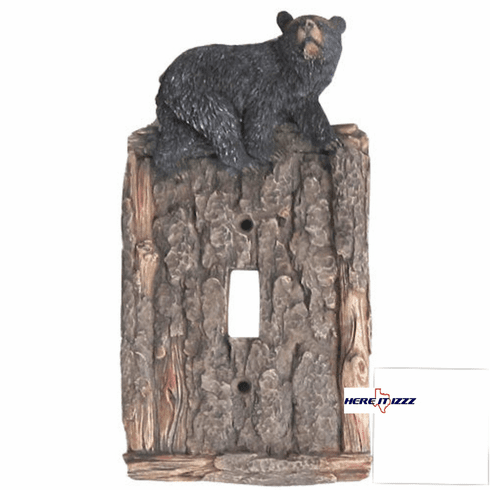 Replace your boring old light switch plates with our great looking Black Bear one's. Great looking way to update the look of your cabin with the look of tree bark and natural wood. These will look great on your single light switch and come with new mounting screws for easy installation.